Jewelers design jewelry such as necklaces, pendants, bracelets, rings, and earrings using materials such as wood, metals, leather, beads, gems, and stones. Jewelers may work for large jewelry manufacturers, for retail operations, or may be self-employed. While some jewelers work with a variety of different materials to create different types of jewelry, others create particular types and styles of jewelry using certain materials. Some jewelers design their own jewelry, while others craft jewelry from the designs of others. 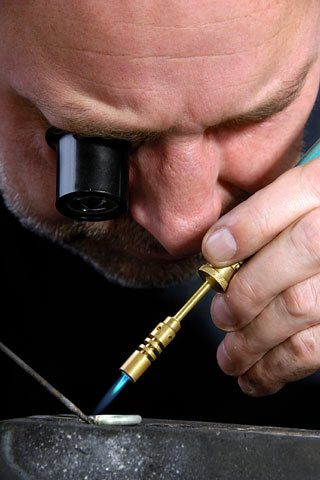 Jewelers use a wide variety of materials along with welding and soldering tools, cutting and engraving machinery, and microscopes and grading tools. Jewelers learn how to make jewelry at vocational schools, trade schools, art schools, and colleges and universities as well as through craft centers and online distance learning classes. 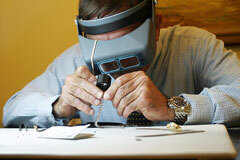 However, a good percentage of jewelers are self-taught, or have been mentored by more experienced jewelers. As computer aided design (CAD) and manufacture becomes more common, more courses are being offered in learning how to use specific software. Jewelers can receive four credentials from Jewelers of America after passing a written and practical exam. While certification is not required to work as a jeweler, some larger organizations look favorably upon it. Jewelers work in well-lighted workstations, in a factory setting, in a store setting, in a studio setting, or at home. Jewelers spend large amounts of time sitting, and do close-up work that may result in eyestrain if breaks are not taken. Some jewelers use ergonomic jewelry benches, which prevent some of the strain, stress, and discomfort associated with making and manufacturing jewelry. 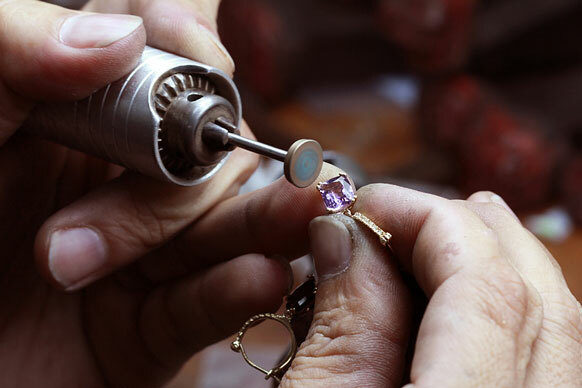 In addition to being well trained and knowing how to design and manufacture jewelry, jewelers must be artistic, must have fine-motor skills, and must know how to operate machinery. Jewelers must also be comfortable working alone. Demand for skilled jewelers, especially those with unique talents or skills, is favorable. Jewelers who focus on the manufacture of other jewelers' designs, and who work in manufacturing facilities, will face the most competition. For more information about jeweler careers and training opportunities, visit the Jewelers of America website. For information about jewelry design and manufacturing, visit the Manufacturing Jewelers and Suppliers of America website.